I AM above the laws of Man and nature! I AM above the laws of Man and nature! Who said this and what does it mean? Know I Am is the name of the Holy Spirit. The Holy Spirit is also the Christ Spirit! 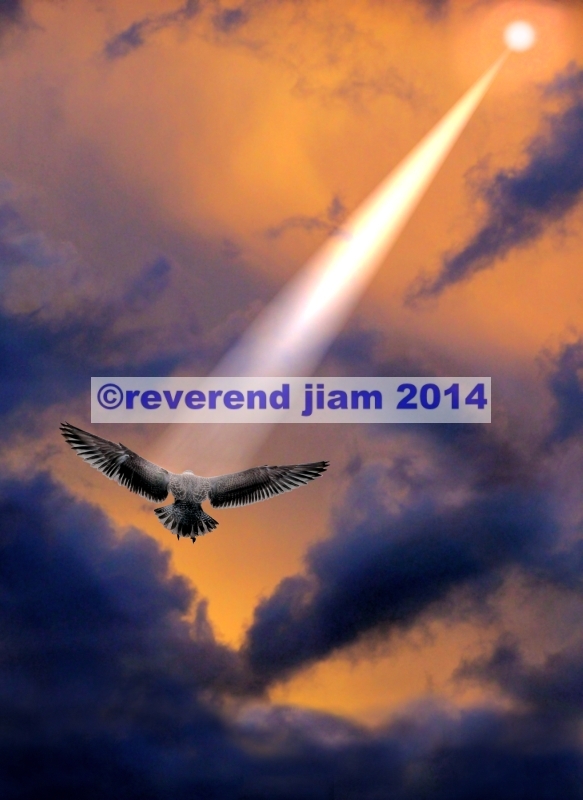 So the three – I Am, the Holy Spirit and the Christ Spirit are the same and are only separated be degrees. So whilst the christians talk about the holy spirit and the mystics talk about I Am and Jesus talks as the Christ spirit and many of the followers of each brand deny the validity of the other branches, I am happy to recognise all three as the same thing. People get hung up on names, e.g. the name of God or the name of almost anything in nature, law, metaphysics and spirituality. Take for example the word Dog. We have dog, canine, mutt, mongrel to name but four. Imagine that four groups were set up as “systems” each using one word as their objective. At first they all got along recognising the others as manifestations of the same thing (dog) but over the generations discrepancies crept in and each group became 100% sure that it’s name was the right name and, indeed, the ONLY name for dog! So spats broke out, that lead to full blown emotional arguments, that led to wars and massacres by the various groups (the canines slaughtered the mongrels in 1674, the dogs slaughtered the canines in 1703 and so forth) and so the battle lines became dug and people forgot that they all have the same meaning – dog! Let me explain a bit about myself. I am open to reason but never accept anything at face value. I am what is called “an initial skeptic”. When I meet a new idea i investigate it thoroughly and test it to see if it is the truth. I do this in two ways. I set up two experiments – one to try to destroy the idea and two to try and prove the idea, to see if it works. If it passes both tests then it must be true because the truth will always work and the truth cannot be destroyed! And that is my “double test” i use to test things. I recommend that you adopt it too. It is a powerful tool for truth! About being above the laws of nature and man. This has always been true but we cannot see it until we look in the right way. Germs/bacteria have always existed. But man – for most of his existence – hasn’t been able to see them, because we have to use a microscope to see them because of there tiny size! So instead of seeing them, we were totally ignorant of them! Does this make them non-existent? No, it simply means we didn’t know about them! Does the fact that the spiritual world is hidden to most make it non-existent? No, not in the least! The microscopic world always exists whether we believe in it of not.So the spiritual world always exists, whether we believe in it of no,t too! So what is the equivalent of the “Microscope” we need to see the spiritual world? It is there for anyone who looks! We simply have to ask to be shown the spiritual world by asking for it out aloud! OUT ALOUD! People have a huge resistance to doing this because by doing so we will always get an answer. By getting a truthful answer, our bliss of ignorance will be destroyed. People value their bliss of ignorance highly (although we should be ashamed to even possess such ignorance!) Mostly people ask to see the truth only when the pain of changing is less than the pain of staying the same – I know that’s the only reason I asked! I had died seven years earlier (by drowning) and come back to this world (read my blog on my near death experience) so i KNEW that we live after death, yet it never occurred to me to ask to be shown the a spiritual solution to life’s problems, until my problems got so huge i had nothing to lose by asking aloud! So I asked and was shown! The solution to the problem is so simple that most people simply ignore it. I have told many many people about how to “find” God and the spiritual solutions to life, but mostly my suggestions are rebuffed. But i will never stop telling people because one day the advice might be used and I would have helped another person to findtheir soul and God/ Love/ the Source! God is always above the laws of nature! Why? Because God created nature! 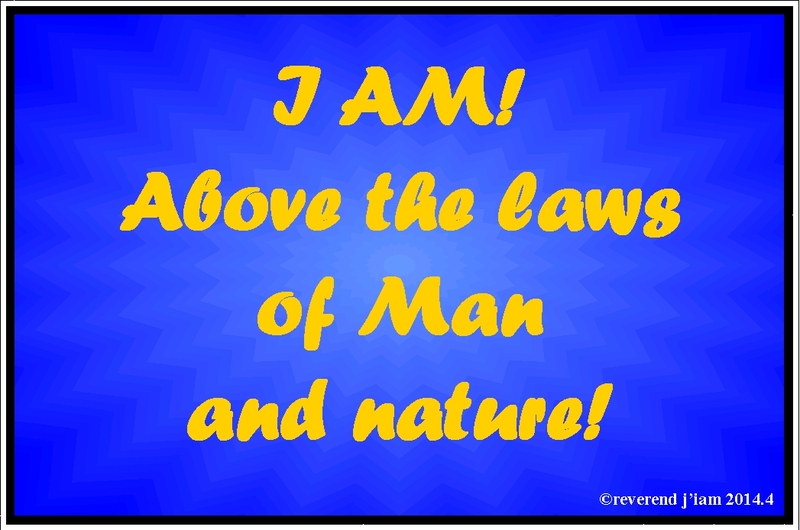 God is always above the laws of man! Why? Because God created man too! By calling out to God we will recognise our own God image of “Man” and”Soul” and be given the “powers of command” (“as you speak out of your mouth, so it shall be“!) This, verily, is the Gift of Life itself!